A wonderful travel companion! In an easy to use spray bottle! 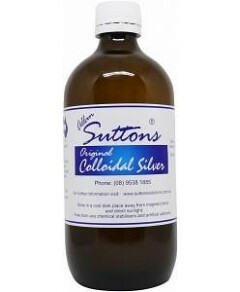 Consider the airborne bacteria during long flights with the congestion of crowded planes....... Sutton's Colloidal Silver Body Spray also provides a refreshing, cooling mist, and with 32- 40ppm silver it keeps the air you are breathing free from those nasties! Keep the bacteria away....for all nicks, cuts, abrasions of any kind. Always be prepared!